In this ancient picaresque adventure, Lucius, an insatiably curious young man, finds himself transformed into a donkey after his fascination with black magic and witchcraft goes awry. While trapped in his new body, he becomes the property of thieves, farmers, cooks, soldiers and priests, and observes the hypocrisy and ineptitude of Imperial Roman society. Okay, I am still trying to process what I just listened too. This story is a wild ride and I enjoyed every moment of it. It is well written, you will not guess what happens next and David Timson was a joy to listen to. Seriously buy this. This is a such a fun listen. The narrator is great and the random voice actors and sound effects make a great impact and reinforce what the narrator says. As for the content, they are classic rivalries and I need a movie or play about the bone wars and the Puma vs Adidas rivalries. They are wonderful stories. Personally, children younger then 8 could listen to this, a lot of the jokes are childish. But some jokes could be a little riské and there is mention of womanizing and seducing of people. 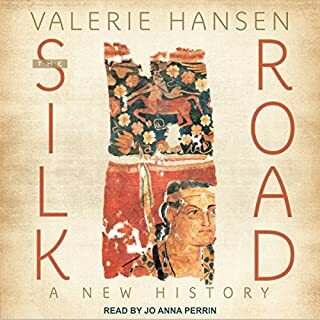 In The Silk Road, Valerie Hansen describes the remarkable archaeological finds that revolutionize our understanding of these trade routes. The Silk Road is a fascinating story of archaeological discovery, cultural transmission, and the intricate chains across Central Asia and China. First the positive, the content was interesting. The book was more about the inbetween cities and villages on the Silk Road, instead of the major cities. Hansen spoke about the archeology and the history we know about the places. It made me want to know more about the smaller communities making their living on the Silk Road. However, Jo Anna Perrin was a really boring narrator. As well as the writing style was meh. As interesting as the subject matter is, the narration and the writing style was just boring. 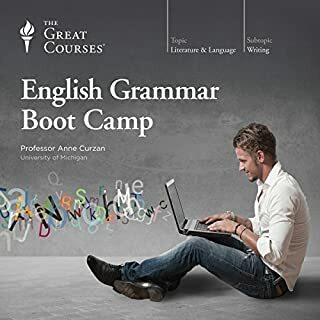 This was the first Great Courses course I’ve listened too and because I had such a good experience with this course I started buying more and more courses. I devoured this one morning and I was unable to stop listening. 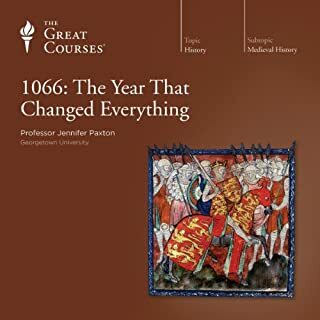 Professor Jennifer Paxton was a joy and I wish she had more courses. I’m still impressed by how much information she was able to pack in 3 hours. It was a great purchase. This was pretty relaxing to listen to. I liked Robert Greenberg. He was engaging and made me laugh, my favourite joke was when he called Putin Voldermort's lookalike. As well as during these lectures I got lost in his telling of history only to wonder why is he talking about a composer or why is concert music playing all of a sudden, only to remember that's why I am listening to these lectures. It's a compliment because I like it when I can get lost in one of the Great Courses and just learn something new. 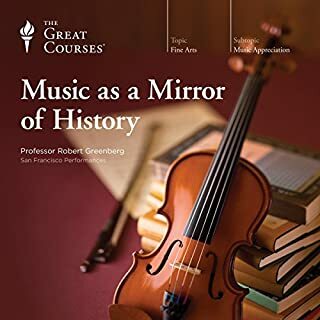 The point of these lectures is to learn about the historical contexts of someone music's great pieces (as well as one of music's no so great pieces) and it did it's job extremely well. It made me feel a greater appreciation for the composers and their work, enough that I went on youtube to listen to the pieces. I would have liked some older music included, but as it stands it is great. This was very interesting and makes one think about the New Testament. 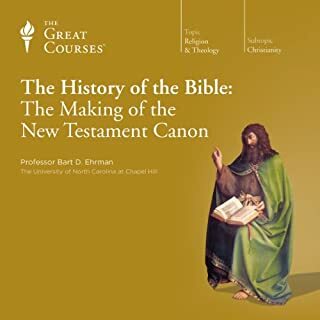 Not only do I wonder what could have been if Infancy Gospel of Thomas or the Apocalypse of Peter was added, but also I understand better why the New Testament is organized like it is. Honestly, it makes you look at it and think about it in different ways. You start to understand that each gospel was written for a different audience, which now it makes sense that they were are so similar but also why they have their differences. Like the best of the Great Courses, it makes me wonder and think. Honestly, I'm a little disappointed that there isn't one about the Old Testament. I got this because it was free, and honestly, I thought it was going to be okay. I was pleasantly surprised by the charm of the story.The story was extremely predictable but the journey was worth it. Also, it's shortness worked in it's favour, if it was longer, the story would have overstayed it's welcome. This story was precious, warm, charming and familiar, like Christmas. The famous Middle English poem by an anonymous Northern England poet is beautifully translated by fellow poet Simon Armitage in this edition. 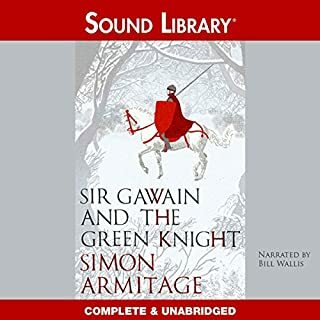 "Sir Gawain and the Green Knight" narrates in crystalline verse the strange tale of a green knight who rudely interrupts the Round Table festivities one Yuletide, casting a pall of unease over the company and challenging one of their number to a wager. Medievalist call this a masterpiece and yes it is. The Audiobook begins with some author notes, which is always appreciated. 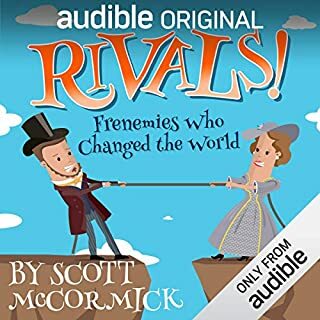 I like to know more about the books I read or listen to. Not only that, Simon Armitage explains why he translated the text as he did. Then, the audiobook goes to the text itself. Anyone you likes King Arthur or mythology should read this text. It’s a great story. As most Arthurian text, King Arthur is barely in this, but he has such a presence and he seems so joyous and fun. Also, Sir Gawain is my favourite king of the round table and this is one of my favourite versions of Gawain. When I first listened to this, I was a little shocked by the anti-climatic ending but the more I listens to the text, the more I love it. It’s actually funny. Be honourable and honest, however we are not perfect especially when we don’t want to die. As long as the reasons are honourable, it’s okay not to be perfect. 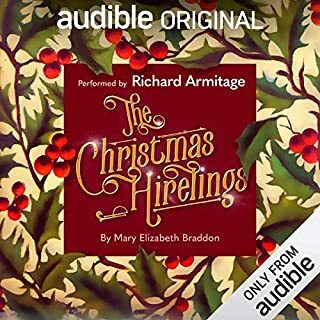 Then, the audiobook goes into the Middle English original version of the text. While it’s hard to actually understand the Middle English, it’s nice to fall asleep too. It has a nice melody that helps me sleep. I loved Simon Armitage’s translation so much, not only did I buy the physical book, I bought his other Arthurian translation, the Alliterative Mort D’Arthur. These lectures were enjoyable and with the Great Courses, there is always something new to learn. Like the rating says, it's pretty good. 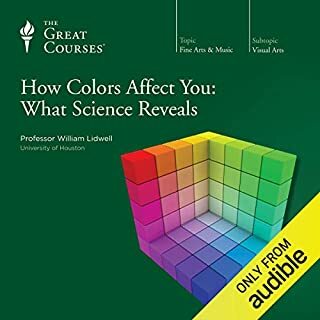 I like some the advice Professor Lidwell gives, like don't wear green or yellow on a date, it will subconsciously make your date think you more sickly. However, it doesn't seem long enough. I would have like more. Also, I why is there not a pdf with lecture notes and extra material? If you are interested in the subject I would suggest to listen to this course because you will learn something.